Implementing a strategy to upgrade your referrals can really explode your referral business. Most salespeople get the name and contact information and try to get off the phone immediately to call the prospect. That is a significant mistake. Follow these steps to increase the odds of your success. 1. You must immediately thank the referral source. Assure them of the quality service their referral will receive. You are giving them your personal guarantee. Before close of business, today, write out a handwritten thank you note at a minimum. You can use gifts or other inducements as well, but the handwritten note doesn’t necessarily need them. 2. Determine the quality or level of the referral. We are trying to increase the probability of the referral for us. The first step is to secure more information before we make the first call. The first call is the point at which you will win these people over or not. Determine which of these four categories their referral will be. C Level – This referral is the coldest variety. The conversion rate is at the lowest level. Your referral source has only given the name and phone number of a potential prospect. They have not allowed you to use their name to create an opening or connection. B Level – I would describe this referral as lukewarm. The odds are improving, but still probably less than 50/50 conversion. The referral has given you the prospect’s name and phone number. They have given you one thing the C level did not, permission to use their name as the referral source to open the door. That certainly helps the connection on the first call. A Level – We are getting warmer with this referral. Again, you have the prospect’s name and number, but you have also been granted permission to use the name of your referral source to open the dialogue door. The best part is the source has given you time to ask questions. They are willing to give you five or ten minutes to explore the referred individual to probe and help increase the odds of connecting with the prospect. AA Level – This should be the level we all shoot for. It’s the Cadillac of referrals. It’s all that the A level has with one huge difference. You have all the information that you have with an A, but the referral source is willing to open the door for you himself. They are willing to make an introduction call personally for you. This call doesn’t replace your call. It only makes it easier to call and raise the chance of a positive result quicker. You might find that a really effective referral source can set up lunch or breakfast meeting with everyone involved. To increase your conversion odds of connecting with the referred individual invest the time with the referral source, explore these questions. This will only take you five to ten minutes but will be well worth the time. Is there anything that you can see that we have in common? What type of a personality will I encounter? What organizations does this person belong to? What are a few of this person’s personal interests? 3. Thank your referral source again. Once you have secured as much information as possible, again, offer your assurance that you’ll provide the same level of quality service that your referral source has received from you in the past. Don’t make referrals complicated. Success is simple, it’s not complicated. 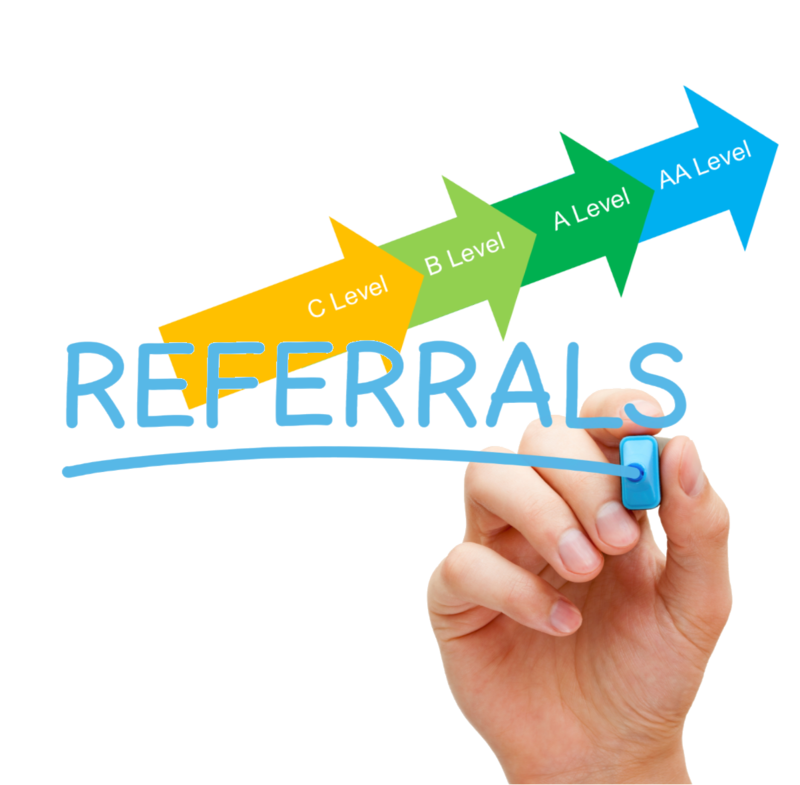 Referrals aren’t a complex system or strategy. Success in referrals is achieved through consistency of the fundamental process of client connection and client service. You may already know some of the things I have shared with you here. The truth about success is that sometimes it’s better to hear something you have heard before but are not doing than to hear something new. Make the commitment to execute the fundamentals in your referral section of your business. That objective will create the growth you desire. 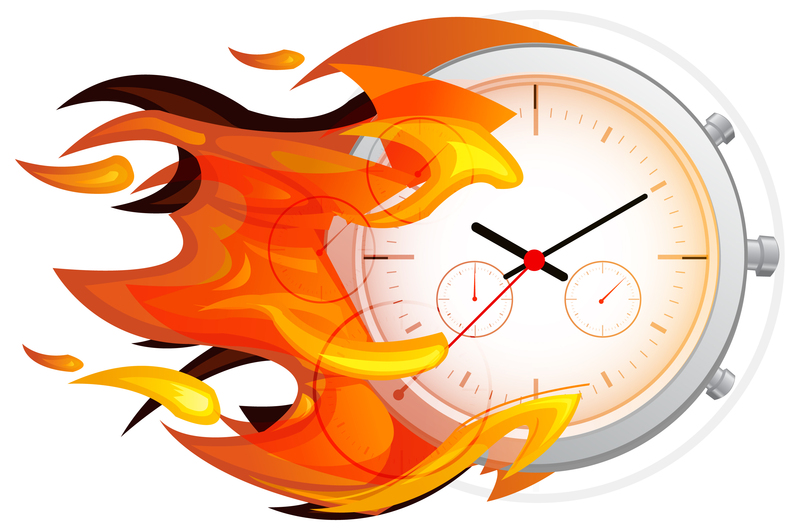 There are numerous challenges and landmines to the time management equation. Entrepreneurial small businesses face a large number of these challenges. As Real Estate Agents, we are owners of entrepreneurial small businesses. This business type tends to put us in the front lines, with multiple job descriptions at once, trying to drive strategic objectives in sales, marketing, management, leadership, customer service, accounting, administration, and research and development all at the same time. 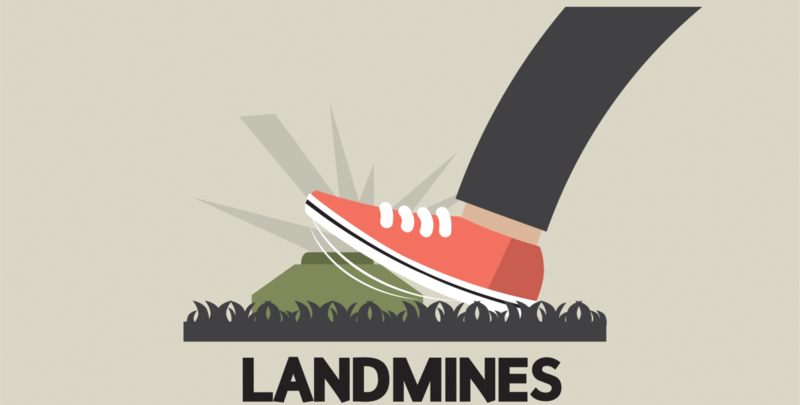 The probability for landmines that can blow up and wreck your day, hour, or even half hour of production is lurking around every phone call e-mail, fax, cell phone call, and meeting. My goal is to give you tools, strategies, and implementation techniques to help you achieve the highest return on investment for your time. We are in a profession that we delight in the inbound sales inquiry calls. We all live for the potential Seller or Buyer who calls us to ask about a property or, better yet, about our services. The problem for most Agents is there are never enough of those and a lot more problem calls. We can compound those interruptions through the use of cell phones, pagers, and access to our home phone as well. I believe that we are the most interrupted profession on the face of the planet. We have the highest probability of distraction, as well, especially when we add e-mail to the distraction list. We must be able to limit the access we provide people by restricting inbound calls significantly. We want those calls, and we need to be able to respond to them quickly. One tactic is to use your cell phone for the lead generation calls or what I call “money” calls. We might have to re-educate our clients whom we have listed, sold, or are securing a home for to call the office line. It would help you reduce the number of cell phone calls. The more we can direct only “money” calls to the cell phone, the more we are able to secure the other calls out for later. Certainly, another technique is to simply turn off your cell phone and only operate through the voice mail for much of the day. Create a short list. That’s a list of people your Assistant or Receptionist knows to put through to you right away when they call. You want about half a dozen people on your short list. For me, it’s my wife, my attorney, and my father. All other people must leave a message or book an appointment for as soon as I am free. There is rarely anything in real estate sales that can’t wait an hour. Procrastination is caused by thinking that we have more time to complete a task than we really do. It is also a lack of urgency on our part. There is a difference between procrastination and prioritization. Prioritization is the skill of a Champion. A Champion puts off the things that don’t matter as much and uses their time to do high-value activities. Procrastination is putting off everything that is challenging and difficult. The challenging and difficult items are usually the most important and valuable items. Procrastination is caused by lack of clarity in goals and lack of connecting the goals to important activities that link with the goals. The key question: Is what I am doing right now bringing me closer to or further away from the goals I have set? Procrastination can be caused by having too many workdays available. In your mind, you can think, “I can always do that later”. It allows you to do the activities a few days later, even though today would be best. We can really fake ourselves out by not having set workdays. The old adage that work expands into the time allotted is true. Procrastination can happen because of a lack of clarity in your vision and what you do. Why are you in real estate sales? 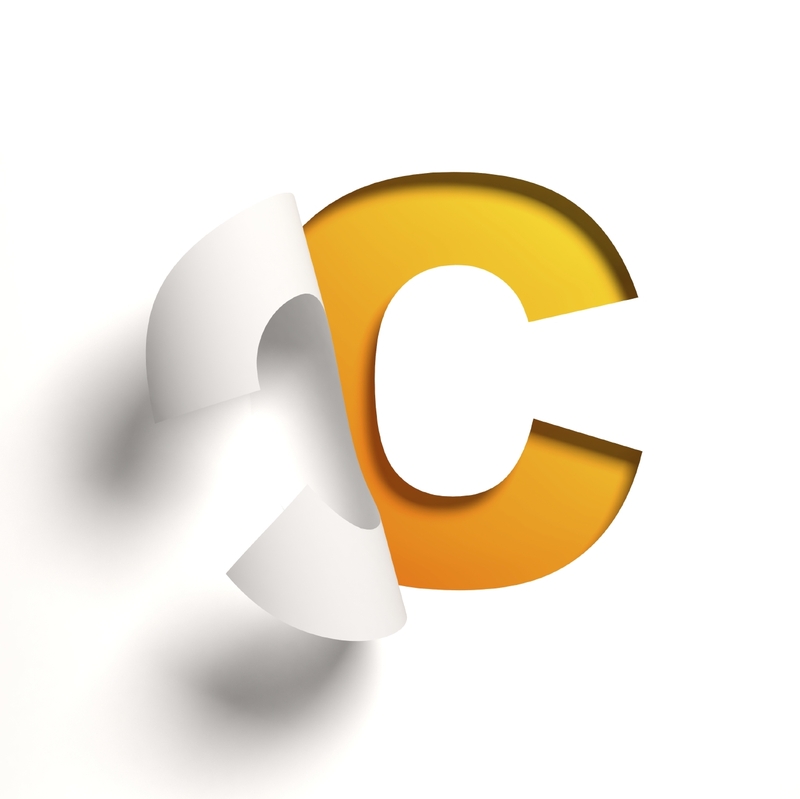 What are your objectives for the year in gross commission income? What is the mix of your business in listing side versus Buyer controlled side? How many listings do you need to take yearly, quarterly, monthly, and weekly to reach your goals? 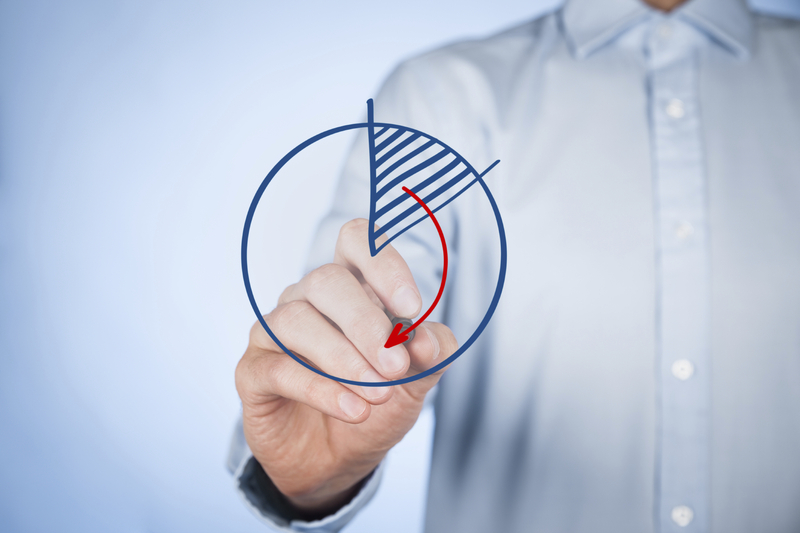 How many Buyer sales do you need to make in the same time frame? What’s your conversion ratio of leads? 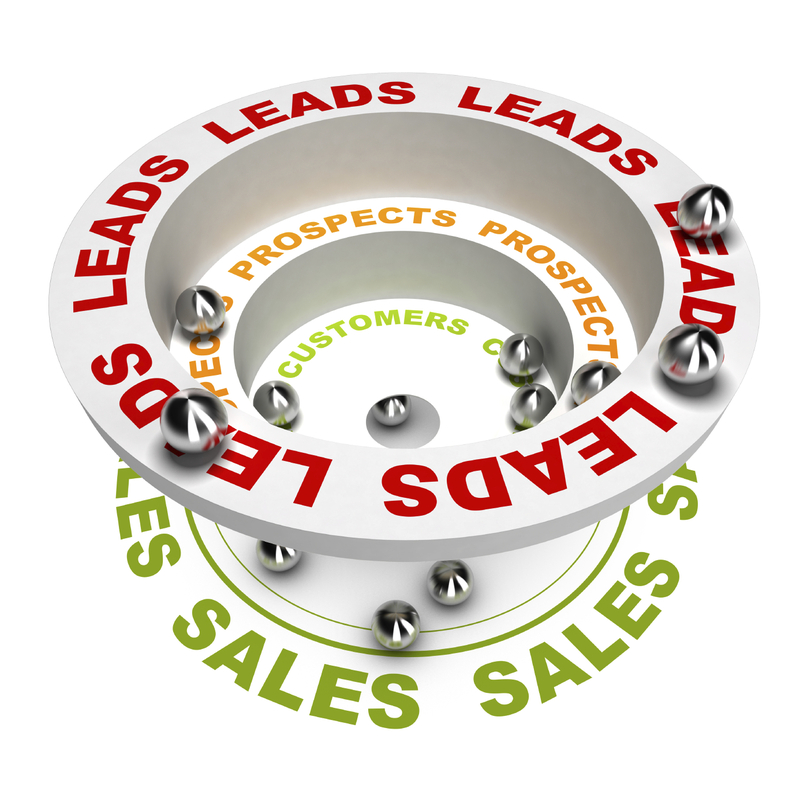 How many leads do you need to generate and appointments do you need to make to earn your income goal? Every Agent who wants to achieve the Champion level must have clear objectives and a clear vision of what needs to happen next to accomplish their objectives. The skill of prioritization is missing for most Agents. How you execute your priorities has a dramatic effect on your income and results. When we evaluate what our objectives and priorities are, too many Agents view them synonymously. Objectives are really the results you are aiming for in your business. Priorities are the individual steps in the right order to accomplish the objective. Champion Rule: We have too much to do and not enough time. Most people who are Champion Performers are running at 100% or more all the time, and there is more stuff added to their plate daily. As we get better and more successful, our opportunities and responsibilities increase. I am blessed with more opportunities and responsibilities today than when I sold real estate. I have more now than when I founded Real Estate Champions over fifteen years ago, and fifteen years from now, there will be even more. With greater success comes greater responsibility and greater opportunities. You will also experience greater problems. As you expand your business, the problems and challenges will increase in number and difficulty. The good news is with larger problems comes larger money. We are problem solvers in the real estate business. When markets shift, problems increase, and your value as an Agent increases too. The increased responsibilities and opportunities are the circle of life from the time we were born. Wesley, my son, has more responsibilities and opportunities than his younger sister, Annabelle. Time management myth: More successful people have fewer distractions. Because of their production and the opportunities they are constantly creating, they experience more interruptions, distractions, and challenges on a daily, weekly, and monthly basis. They are, however, better at handling these demands than others. They have the ability to solve the challenges much faster. They let the negative things that happen to all of us affect them mentally for shorter periods of time. If you are a Champion Agent, like many of my clients who earn $500 an hour or more (that means each fifteen-minute block of time is worth $125), you can’t let too many of those fifteen-minute blocks slip away during the day. The control of those blocks of fifteen minutes and the attitude control is one of the main reasons they are worth $500 an hour. Champion Rule: We will never get caught up. For Champion Agents, there is no hope of ever getting caught up. Why would you want to? It means you are not getting new opportunities, challenges, clients, prospects to sell to, etc. It means your business has stagnated or receded. A Champion Performer will go home each day of their work life with something un-done or not completed. We could stay in the office past midnight each day, and we still would not have everything completed. We must get over the “clean up and get everything done” syndrome. The question isn’t, did we get everything done; it’s did we get the most important things done. The ability to have a system to select and execute the high-value tasks enables us to align our priorities with our objectives. Being able to control the income is really where agents get into trouble. Too many agents’ pay comes irregularly. A Champion Agent’s income comes consistently. It enables them to control it better, save more, and invest more to create wealth. It is not what you make, it’s what you keep. I have met too many agents who make $300,000, $500,000, even a million dollars a year and are broke. Part of their problem is their expenses. The other part is in their personal and business system of controlling the income. I will share with you a simple plan to help you control your income and become wealthy. 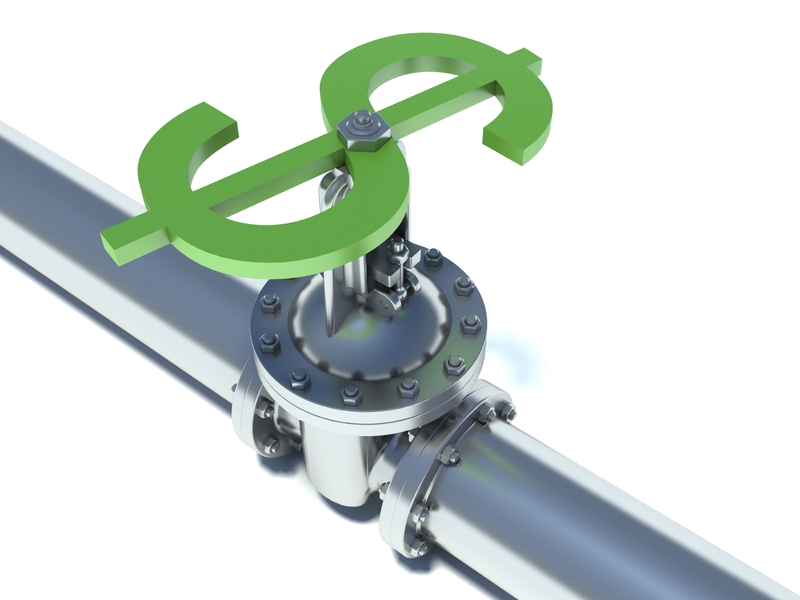 Your business checking account is merely a holding tank. Don’t keep large amounts of money in there. When a commission check is received, put it all in the business checking account. Set up a business savings account and deposit 10% of your gross commission in there. That is your rainy day fund, dividend fund, and source for the future. You can build up a lot of funds through this method. At the same time, set up a tax savings account. Deposit 20% of every check to the tax savings account. This method guarantees you have the funds available when quarterlies are due. Create one last account for your investments savings account and deposit 10% in that account. This account can be built up to fund your retirement accounts, 401K, simple IRA, whatever vehicle you use. I am a firm believer that as a business owner we need to take advantage of these tax free investment opportunities. You can save the money to buy property. The more you can segment or even hide money from yourself, the greater the chance you can avoid wants becoming needs. When the money comes in bunches, wants can easily become needs. If you are unable to put 10% in each of these savings accounts, start with 5%, 2% or even 1%. It’s the habit that we are trying to establish. The habit will lead you to wealth. Collect a significant monthly personal compensation out of the business in salary and dividend that you can segment or hide your money again. You want to pay yourself enough to cover your personal expenses while at the same time, saving and investing in your future as well. I have used the 70/10/10/10 way of managing my money for years. It’s a simple approach, I don’t have to budget extensively and it works. The seventy percent is what my family gets to live on. Joan and I can spend it any way we would like. There are usually long discussions about that in our home. We give 10% of our income to charity. For us, it’s our tithe to our church that equates to that 10%. The blessings have been awesome since we make that commitment to bring in the whole tithe years ago. We save 10% in a general savings account for emergencies, property taxes, family fun, and large purchases like a new car. I am not a believer in debt, whether car or credit card. My view is the only debt I will accept is appreciating asset debt like real estate or possibly business debt. Because we have been doing that so many years, we rarely pull money out of savings for anything. It’s just another area to create wealth. We then save 10% for investment. This can be real estate investment or after tax investment of stocks bonds, CD’s or any other source we choose. I am not professing that I have created the perfect system, but it works for me and works for thousands of other people I have taught it to, both inside and outside of real estate. When I started this system well over twenty years ago, I was not able to do 70/10/10/10. I had too much month at the end of my money due to debt and lack of income. I wanted to do 70/10/10/10, but couldn’t, so I started with 95/1/2/2. That quickly became 90/3/3/4. Within twenty-four months, I was able to do 70/10/10/10, and my life has never been the same. The real skill of a Champion is to control the resources and money they have to create the quality of life they desire. We all need to live within our own means to make sure our future is secure. I believe that you won’t be blessed with more unless you wisely use what you have now. People who acquire wealth learned to control small amounts well before they acquired large amounts. Control what you have now and more will be granted to you. When we look at our ability to communicate at the Champion Agent level, we need to evaluate our verbal, vocal, and visual communication skills. The vocal and visual are the most powerful when dealing with objections. Verbal: These are the actual words and phrases you use to communicate to people. The words really don’t convey the complete story, since they account for only 7% of communication. However, it is hard to think about how best to use the vocal and visual to improve your communication and conversion if you are stuck focusing on the words. It is priceless to have mastered the words for the approximately forty major objections. Vocal: This is the tone and pace of your delivery. This carries more weight than the words. We experience 38% of our communication using the vocal medium. Visual: This is what people see when you speak. It’s the powerful, subtle yes head nods, confident posture, and eye-to-eye contact. This form of communication accounts for 55%. Your body language conveys how you perceive yourself and the value of your service. If you visually demonstrate that you are the best, the prospect and clients will have more faith in your claim. They can see right through practiced responses that are inconsistent with the body language. The salesperson who exudes confidence and excitement will generate the same feeling in their prospects and clients. When your confidence goes up, your competence goes up, as well. When you communicate your confidence, and the prospect feels that you are prepared to handle the objections that you might encounter, this will reduce the amount of objections they express to you, and they will sign more quickly. This confidence must come out from the initial contact with the prospect. My question is what do you need to improve on to dramatically raise your confidence? What skills do you need to practice? What mental attitude do you need to change? Is there knowledge that needs to be acquired? Preparation is essential for Champion Objection Handlers. Learn who they are, so you can anticipate their needs and questions. Prepare the proper questions; prepare to listen, as well, and you can better direct the presentation to answer their objections before they come up. Rule #1: There is no closing issue that can’t wait an hour. When your transaction hits a snag, don’t let it dramatically change your day’s schedule. Wait to resolve the issues during the time you’ve blocked for administrative tasks. Rule #2: A frenzied reaction only adds fuel to the fire. More often than not, when one closing party gets riled it’s because someone else in the transaction is riled – and hysteria is catchy. Aim to serve as the calming influence in the transaction. If the problem arises two hours before your predetermined administrative time slot, inform the parties that you have prescheduled appointments that you can’t change, but that you will be able to take action when you get out of the appointments in two hours. Rule #3: Fires often burn themselves out. Rather than jump into the mess, give the issue a bit of time to simmer down. Remember that your prospecting and lead follow-up tasks are appointments to which you have committed. Sticking with your daily plan may give the issue time to cool or even resolve itself. Rule #4: Don’t wait for a three-alarm fire to call for the pump truck. If the fire becomes hot, suit up your broker right away. Before the transaction flares out of control, ask for help. The longer you delay, the more effort you’ll spend getting the situation cooled down. Too often, as agents, we can feel like an island out in the middle of the sea with no other land in sight. We feel alone and trapped – far short of where we had hoped or imagined. One of the reasons we selected real estate sales is due to the opportunities and flexibility our independent career offers us. We are truly an independent contractor; a self-employed individual and business. I frequently say that one of the best things about being an independent contractor is nobody can tell us what to do, how to do it, or when to do it. We control our success and also our failure. At the same time, one of the worst things about real estate sales is that we are independent contractors. No one can tell us what to do, how to do it, or when to do it. It’s the yin and yang of the business. We are self-employed, so we are our own employers and our own employees. This creates a unique relationship with the potential of a “me/me” conflict. There is a personal, internal conflict between diligence and laziness, perseverance and quitting, success and failure. We have the same responsibilities to manage ourselves as we would if we were managing salespeople in a sales manager role. We must manage ourselves as if we are paying someone else an equal amount of money to do what we make or plan to make. We are in a competitive business. We are not an exclusive source of real estate services. We are in competition because there are more agents than business. We might like and enjoy these competing agents, but we still must focus on taking market share away from them. We don’t significantly influence the number of transactions done annually in our marketplace. Generally speaking, there are a set number of transactions in any given year in any marketplace. If we want to increase our business, we will need to take transactions from someone else. I know many of you don’t like me saying that, but it’s true. If you get more, someone will need to get less. We don’t own our prospects; they don’t owe us with their business or commission dollars. Our job is to compete to earn their business initially and continually for life. We must use our sales skills, service benefits, competitive points of difference, value, tools, materials, and systems to promote us favorably to our targeted markets, prospects, and clients. We must be willing to invest in ourselves and in our business. We have all heard the statement “It takes money to earn money.” We also know the wisest investments we can make are in ourselves. You are the greatest asset you have to create income and expand your business. By developing your knowledge, skills, and attitudes, as well as creating systems that are productive, you are guaranteed growth in your business.